A Stretching Machine gives you a comfortable way to stretch your body with the correct form while giving you control and safety over each of the stretching exercises. Whether you perform hamstring stretches, hip stretches or back stretches, You will be amazed at how good it feels! The Precor Stretch Trainer was the first one on the the market in 1996 and FitLine also carries a stretch machine from BH Fitness. 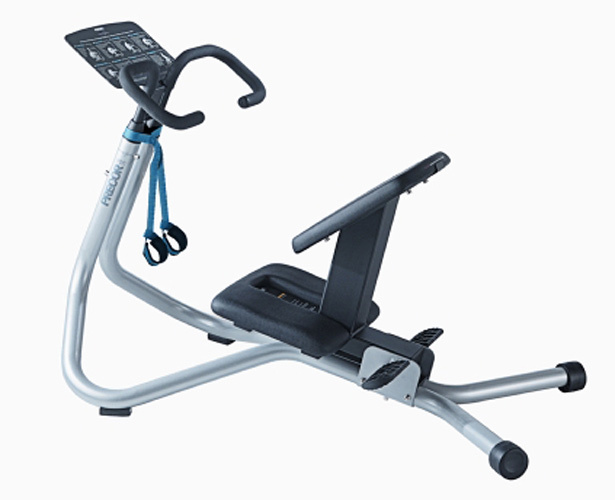 Both companies produce smooth operating and durable exercise equipment. Give us a call or send a quick email with any questions you have, or stop by our store and try one out. Your body will thank you for it! Thank you for considering FitLine Fitness Equipment. Improve your flexibility, coordination and overall athletic performance by stretching daily, whether before or after a workout or as a start to your day. The Precor 240i StretchTrainer™ places you in ergonomically correct stretching positions for maximum benefits, in an effective, seated stretching regimen.